Here is a truly fascinating look at Centralia, Pennsylvania and the mine fire circa 1982. This 30 minute PBS documentary tells the story of the fire, includes interviews with residents, and features footage of steam escaping the ground within the fire’s impact zone. It is definitely worth watching for anyone interested in the history of Centralia and the disastrous mine fire that doomed the town. 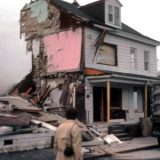 The film begins with striking footage of a home being demolished. This had been owned by a Centralia resident who was part of the first group to be relocated in the early 1980s. Actor Martin Sheen provides narration throughout the documentary. 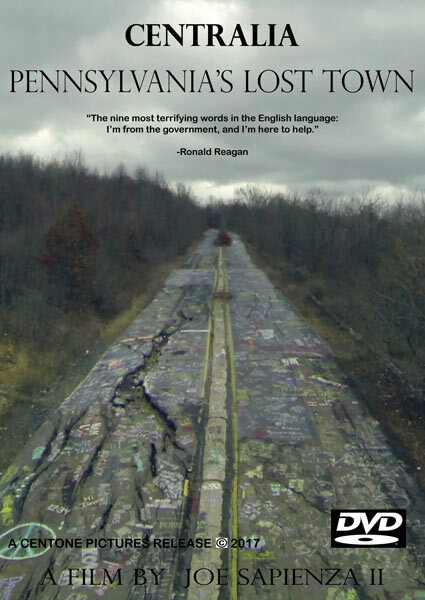 What follows is a history of the mine fire told over footage of steaming fissures, as well as scenes of everyday life in Centralia, PA. It’s amazing to see the town as it was then, especially knowing what little of it remains today. Key interviews are provided by Tom Larkin and Joan Girolami. Both were members of the Concerned Citizens Action Group Against the Centralia Mine Fire. A number of historic photographs and newspaper clippings are shown. These include images of John Coddington’s gas station, which was threaten by the fire and eventually demolished, and Todd Domboski, who fell into a steaming hole created by ground subsidence. The film continues with a discussion of the health threats posed by the gasses escaping from the fire, such as carbon monoxide and carbon dioxide. In one interview a Centralia resident, who has not been given a carbon monoxide detector, describes how she bought a parakeet to warn her of mine fire gasses. Canaries and parakeets were once used by miners to warn of dangerous gas pockets. In another interview, Dr. Edward Radford at the University of Pittsburgh provides his thoughts on the mine fire gasses. He proposed doing an study to determine the health effects of long term carbon monoxide exposure. Unfortunately, the Environmental Protection Agency refused to fund such a study. 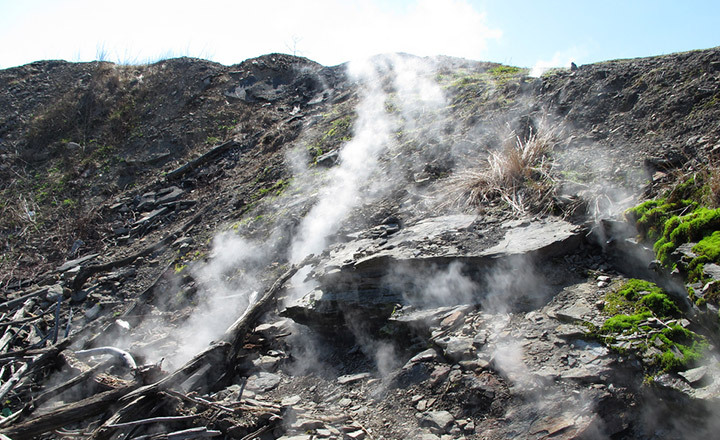 More footage of Centralia and the mine fire vents is shown. This is followed by an interview with Centralia’s mayor at the time, John Wondolski. According to Wondolski, the fire is not a threat to the town and he believe it is moving away from the areas where people are living. This, of course, stands in stark contrast to the evidence provided by residents, especially those being forced to flee their homes due to health concerns. They tell their stories as well. Near the end of the piece, clips from a public meeting at Centralia, Pennsylvania’s Municipal Building are shown. It begins with Louis McNay, Chief of Federal Reclamation Projects, speaking to residents. He describes the timeline for yet another borehole project meant to determine the extent of the mine fire. One resident, Helen Womer, asks a question about whether the fly ash barrier used to protect the town from the fire will be reinforced before winter. Robert Oberman, from the Pennsylvania Department of Environmental Resources, responds with a timeline for the project. There are also interviews with politicians such as United States Congressman James Nelligan and Pennsylvania Representative Robert Belfanti, Jr. 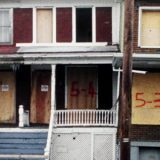 While Nelligan requests patience from the residents and describes just how hard he is working to help them, Belfanti explains why so little is being done to help the people of Centralia, PA. Belfanti suggests that if Centralia were a much larger city, such as Los Angeles, help would have come years earlier. Residents Jim and Evelyn Buckley are featured prominently towards the end of the documentary. Evelyn and daughter, Shannon, began suffering from respiratory problems which they attributed to the mine fire. Being in the mine fire impact zone, they were one of the first families eligible for relocation. Their struggles to adjust and receive fair compensation for their home are chronicled in a series of interviews. The film ends with Jim Buckley stating that one day he plans to return to Centralia. Little did he know that by the 1990s, most of the town and its residents would be gone. 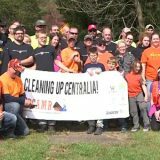 I was raised in Centralia! 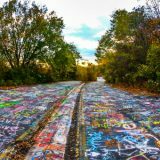 The more I learn about Centralia, the more ridiculous it seems that action wasn’t taken immediately! Letting the fire spread for days, weeks, months, years due to bureaucracy… cost all of those people their homes! Why couldn’t someone act? This never should have happened. Mr. Buckley did return to Centralia for eternity. He passed away in 2009 and is buried buried in Saint Ignatius Cemetery. 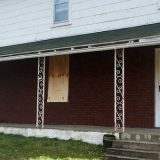 It’s very very sad 😢.The coal mines bought out a place called Duty Branch in the 90s I owned a small parcel of land and they paid me more than they gave that family and I wasn’t even living there and no house was there it is in wva.They should have gotten a lot more money.It’s a shame…..